Glenn Greenwald was a controversial but largely solo investigative reporter and columnist for the Guardian before the recent announcement that Pierre Omidyar was planning on partnering with him in launching a whole new news operation from scratch. This would be just one more nonprofit news startup, but for the fact that 1) it will not be nonprofit, and 2) it will be started with a quarter of a billion dollars in venture capital via Omidyar. His choice was, apparently, to eschew the purchase of the Washington Post in favor of starting something with none of that institution’s legacy structures. 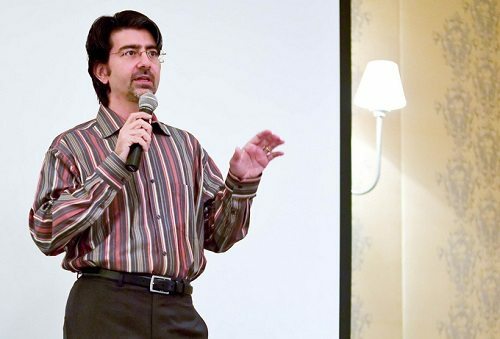 This article from the Economist proposes that this should be no surprise, since Omidyar is an entrepreneur and not a turnaround guy. “Both at eBay and in his charitable schemes, he has demonstrated an ability to turn a promising but vague idea into something concrete and substantial.” And this idea is, as yet, somewhat vague, at least in its public state. One colleague recently commented to me that “That is the biggest load of money pumped into the least amount of plan I have ever seen”—but welcome to the world of digital journalism, where all is in a state of high experimentation. It is the perfect place for a large, loose investment based on a powerful core concept and with a few of the right key people in place. So, is Glenn Greenwald the right guy to be a major partner? The New York Times took up the question in a respectful back-and-forth between him and Bill Keller, where Keller takes him on concerning the line between journalism and activism.